Failing that, if mortgage borrowers have to give up their homes, they might at least find an option that’s preferable to foreclosure. The analytics firm CoreLogic recently reported that completed foreclosures and the foreclosure inventory in March 2012 have dropped from last year; that indicates banks increasing use of alternatives to foreclosure, a CoreLogic analyst says. The data release showed that the foreclosure inventory had fallen from 1.5 million in March 2011 to 1.4 million in March 2012. The drop came even as foreclosures have stalled in the last year. (Stalled foreclosures would normally increase inventory if everything else were equal.) Completed foreclosures in first quarter of 2012 numbered 198,000, down from 232,000 in first quarter 2011, according to the CoreLogic news release. The short sale is one tactic that banks are using more often to resolve at-risk and delinquent mortgages. In short sales, homeowners sell their homes for less than their mortgages are worth, resulting in losses for banks. “Banks have put many foreclosures on hold over the past year and a half while waiting for the robo-signing settlement,” says chief economist of listing service Trulia Jed Kolko, referring to the settlement over foreclosure abuses that was finally reached between major mortgage servicers and 49 states in February. And short sales have been increasing, relative to foreclosures, for months now, he says. Short sales grew at a rapid annual pace last year, according to foreclosure marketplace RealtyTrac. Pre-foreclosure sales, which encompass short sales, rose 33 percent from January 2011 to January 2012. In fact, Bloomberg reports that short sales actually surpassed foreclosure sales in January 2012, citing data from Lender Processing Services (which works with major banks and others in the mortgage industry). The trend seems likely to accelerate: Twin mortgage guarantors Fannie Mae and Freddie Mac announced timelines in April that require servicers of their mortgages, to respond to short sale inquiries from homeowners within a month, or otherwise face penalties. 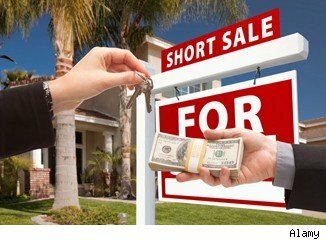 And Bank of America recently said that it now intends to approve or reject short sales within 20 days. Both timelines, if adopted, would streamline a process that has been known to drag on for many months, often only to end in rejection. “Home retention actions,” also have ticked up recently, rising slightly in the last two quarters of 2011, according to the Office of the Comptroller of the Currency. Like short sales, retention actions are used to stave off foreclosure. And they also seem poised to increase in coming months. One home retention action, the loan modification, is a method that market observers are watching closely: Possible industry developments may precipitate a wave of them. For one, the Obama administration recently tripled the subsidies that are offered under the Home Affordable Modification Program, which provides loan modifications to delinquent or distressed homeowners. Experts say that may incentivize banks, private investors and even mortgage guarantors Fannie Mae and Freddie Mac (all of whom have put up some resistance to HAMP modifications in the past) to participate in the program. Then there’s the mammoth sum of principal reductions, which often are a part of loan modifications, that the nation’s five biggest servicers are compelled to perform in the next three years: The banks may forgive well over $30 billion in mortgage debt in order to satisfy credits that they agreed to pay — in the form of principal reduction — as part of the robo-signing settlement. We should see “an uptick in principal reductions and loan modifications there” for mortgages backed by the five banks involved in the settlement, Humphries says. Bank of America, one of the banks that agreed to the settlement, has said it will reduce about 200,000 mortgages by an average of $100,000 each. If you think you may qualify for a loan modification under the settlement, contact your lender or visit nationalmortgagesettlement.com for more information. But keep in mind: Mortgages guaranteed by Fannie Mae and Freddie Mac (which underwrite about 60 percent of U.S. mortgages, as well as mortgages insured by the FHA) are not eligible for modifications under the settlement. Another possible development could also boost the number of loan modifications in 2012. The Federal Housing Finance Agency may approve principal reduction as a home retention action for Fannie Mae and Freddie Mac-backed loans. Increasing pressure from policymakers, and a recent study that found that this strategy would save the mortgage giants money, may pressure the FHFA to finally give permission to the twin mortgage guarantors to allow servicers of its mortgages, typically banks, to reduce principal on mortgages.